Attorney Williams is a solo practitioner with 24 years experience in the area of consumer bankruptcy law. We help consumers file for bankruptcy with a view towards obtaining a fresh start in life. We offer a professional environment, where you can feel comfortable discussing your finances with an experienced, reliable attorney. Susan M. Williams understands that filing for bankruptcy, even investigating it as an option, can be stressful. It is our priority to set you at ease and remove any intimidation from the process. Attorney Williams handles every case herself from the initial consultation to attending court with the clients. With 24 years of experience she is able to assess every situation with the knowledge she has acquired from representing thousands of clients through the bankruptcy process. The staff has a long history with the firm and are very experienced in the area of bankruptcy law. They also understand the magnitude of the financial decisions being made and are kind and extremely helpful throughout the process. 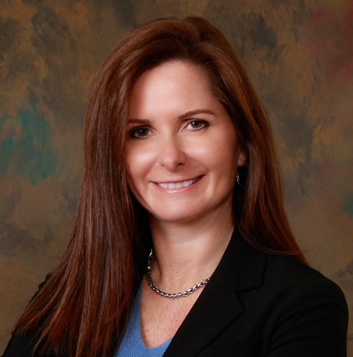 Attorney Susan M. Williams has over 24 years of bankruptcy law experience. She has a deep understanding of the changes that have taken place under the Bankruptcy Reform Act which allows her to guide her clients through the bankruptcy process. In addition to bankruptcy law, Ms. Williams has over 24 years of experience handling cases involving real estate and consumer rights. Susan M. Williams is licensed to practice law in all state and local courts in Connecticut and Massachusetts. She is also admitted to practice before the U.S. District Court for Connecticut, the U.S. District Court for Massachusetts and the United States Supreme Court. She has been a panel speaker on Chapter 13 Bankruptcy for the National Association of Consumer Bankruptcy Attorneys (NACBA), Hartford County Bar Association and National Business Institute. She is a member of the Connecticut Bar Association Commercial Law and Bankruptcy Section, Hartford County Bar Association, National Association of Consumer Bankruptcy Attorneys and Massachusetts Hampden County Bar Association Bankruptcy Section.